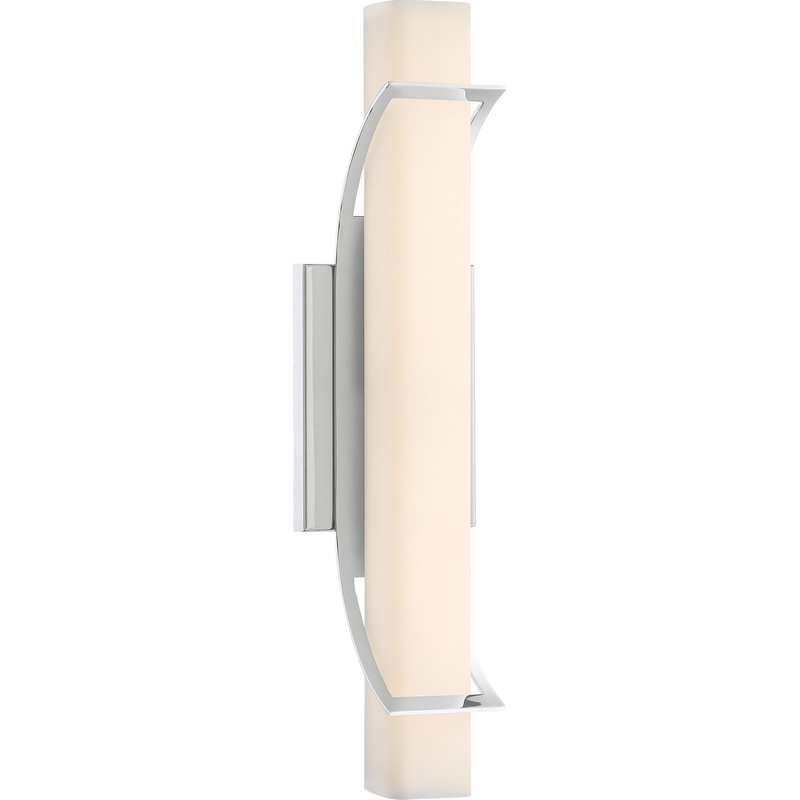 Quoizel Lighting Platinum Blade Collection Bath light fixture in polished chrome finish, features steel construction. This contemporary/modern light fixture uses 25-Watt 1830-Lumens LED lamp. Lamp has voltage rating of 120-Volts. It measures 19-Inch x 4.75-Inch. This horizontal/vertical mountable light fixture has 6-Inch lead wire for hassle-free installation. Fixture is ETL listed.